So when you do finally have a baby of your own, it’s lovely to be able to enjoy other people’s pregnancy announcements. At least, that’s what I thought. But recently I’ve been feeling some of those twinges of resentment creep back in. Although there’s a good chance that we’ll probably stick with the one baby for a variety of reasons – and I’m totally fine with that – I’ve found myself a little jealous of my friends who are pregnant of late. It’s not that I particularly want another baby. As I say, we’ll probably be sticking at one, and I’m ok with that. I really am. Nor do I particularly want to be pregnant. I’ll admit I do miss my bump and those little baby movements from deep inside, but looking back I had a fairly rough pregnancy, so I’m not looking to do it all again with a toddler in tow. But I am jealous of all of the emotion that normally comes with being newly pregnant. When I posted this photo of Mrs Lighty as a new Mummy on Facebook, the comments received were along the lines of “you’re a natural!”. Those sunglasses his a multitude of sins. For most women (not all, I know), being pregnant for the first time is an exciting, if somewhat scary, time. It’s filled with hope, with the secrecy of keeping being pregnant under wraps for twelve weeks, with the likes of baby showers, and last days at work and first days on maternity leave. It’s magical, and I don’t begrudge anyone feeling that way. And then the baby comes. For many new mums, I know that it’s a really joyous time, and again is filled with the magic and wonder of getting to know this new little person. But for me, it was filled with a feeling of being overwhelmed, of failing to breastfeed, of having to force myself out of the house when feeling like a nervous wreck. I know I’m not alone in feeling like this, or feeling part of this, and this isn’t a woe is me cry. This was just how I felt. And now, how I am finding myself feeling when friends tell me they are pregnant, is, well, jealous. I’m jealous that you’ll get to do all of this, and hopefully embrace it and enjoy it. I’m jealous that you’re pregnant and getting to experience all of the joy that comes with pregnancy, before the reality hits. I’m jealous that you’ll be having this new little person to love and get to know and not muck it up. I’m jealous that I often feel like I have mucked it all up. I’m jealous that I have wished time away, and not cherished all of the little, small moments. And I’m jealous that I didn’t recognise all of this sooner, and ask for help. I think when I wrote, as a new mum, about other new mums seemingly taking to motherhood like a duck to water, I probably did recognise that I was feeling a little bit like this. Feeling that I wasn’t good enough, that I must try harder. I also remember having a conversation with one of my lovely NCT friends about whether I loved Baby Lighty enough. I have come a long way, of that I’m sure. I now know that there is no one right or wrong way to parent. I can also tell you that I love Baby Lighty like my life depends on it; that actually, it was never about not loving him enough, but about not being kind enough to myself. All of this comes with time, of course. And I guess this is why these feelings of jealousy are only just surfacing now. Because our feelings are valid at any point. So forgive me, dear friends. I’m so, so incredibly happy for you. I will love your babies like the honorary Auntie you’ll hopefully let me be. I’ll cuddle and kiss and rock them, play with them and watch them play with mine, and then give them back to their doting parents at the end of it. But forgive me if I’m feeling a little jealous of the fact that you’re pregnant. Forgive me for wishing I had my time over. Because you’re about to embark on the most exciting, terrifying, funny and rewarding stage of your life! Really enjoyed reading this as a lot of what you’ve said rings true to me too. I’ve found it hard to find mums who’ve had similar experiences to me. Everyone I know seemed to love motherhood and take to it so well. Pregnancy for me was the easy bit. It was the shock of having a newborn who cried and fed constantly coupled with finding breast feeding very difficult that sunk my ship. I struggled to cope with loosing control over my life and having to devote everything I had to this small being. To write this now I worry it makes me sound like a monster. I must assure you that my adore my little chap now but it took many months to get to that stage. I struggling with feeling of jealousy towards other pregnancies. Not that I crave another child but I would like a ‘do-over’ so I could do it all again better with the knowledge and experience I have gained. Thanks to writing such an honest account. I’m a terrible sucker for bump envy – I don’t know what it is as I definitely (?) don’t want more babies, but that feeling of nervous anticipation of who you are about to meet is just like nothing else. I think it’s a little addictive, like getting a tattoo! But, I don’t want to be the tattooed woman, nor the old woman who lived in a shoe, so I guess I’ll always feel envious of fresh tattoos and pregnant women! This is me all over, I can literally relate to it all. I have one daughter, she’s twelve and lord knows where all those years went. Getting pregnant isn’t a strong point of mine and I’ve only managed to produce one. I get those jealous twinges too, constantly, but that said, I’m now at the point where I’m struggling to come to terms with her growing up, not needing me like she did, not asking me to play games with her anymore and generally wanting the toddler years back. I have regular meltdowns where I can’t even bear to look at old photos of her as a baby without dissolving into a pool of tears. I don’t think I could put myself through it again – even if I could! I love to watch her grow into a young lady albeit painful. I look back and wish I’d done more, spent more time playing – the list goes on. Who said being a parent was easy!! I tried for my youngest for 8 months and it was heart breaking watching all the people around me announce. I felt like it it was such a rub in the face. I also felt like such a cow. I should have been happy for them. Oh no, you are only human. Don’t be so hard on yourself! Ooh yes, wouldn’t that be lovely if we could just experience it for the day?! I’m sorry you’re feeling like this. But like you say feelings are feelings, we don’t get to choose which ones we have. I hope you’re got some understanding people to talk this feelings through with. And remember that everyone struggles with mixed feelings around pregnancy and early motherhood. We never know the story behind pregnancy announcements (not usually anyway). Certainly no one posts anything on FB other than the good stuff. So it’s easy to feel like other people are have more to celebrate than we do. Do you journal to help you work through these feelings? I find it helps a lot to get to the bottom of what is bothering me and why. Thanks for posting and being honest!!! Well said, Nicola – what a lovely post! 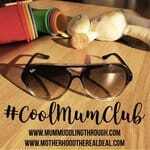 Give yourself a break – there’s no such thing as a perfect mum – don’t miss out on today agonizing over yesterday or tomorrow (that’s good for any stage of life!). Thank you for your honesty too. If I’m being completely honest I’m probably going through the same thing. I hope Baby Lighty will forgive me too when he’s older. Such a sweet and relatable post. We are done here too but there’ll always be a niggle when you see someone else enjoying the magic. Yes that’s exactly it! Thank you for stopping by!